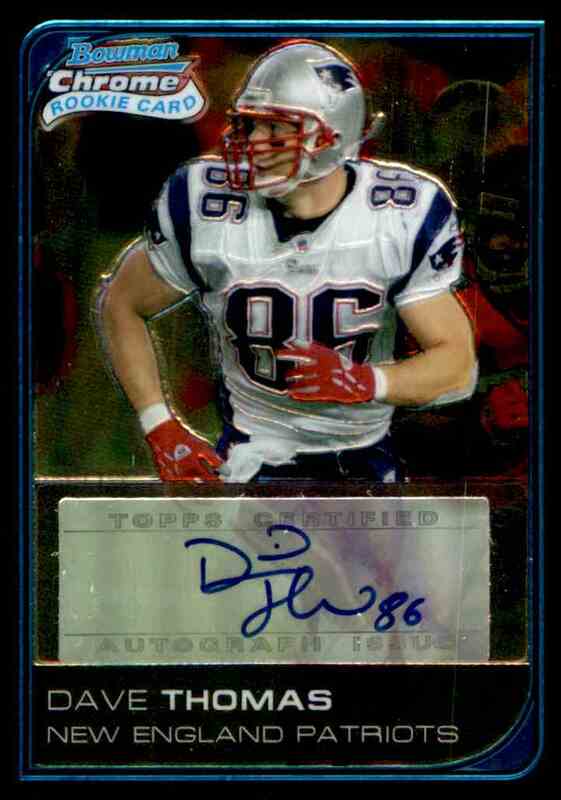 This is a rookie autographed Football trading card of Dave Thomas, New England Patriots. 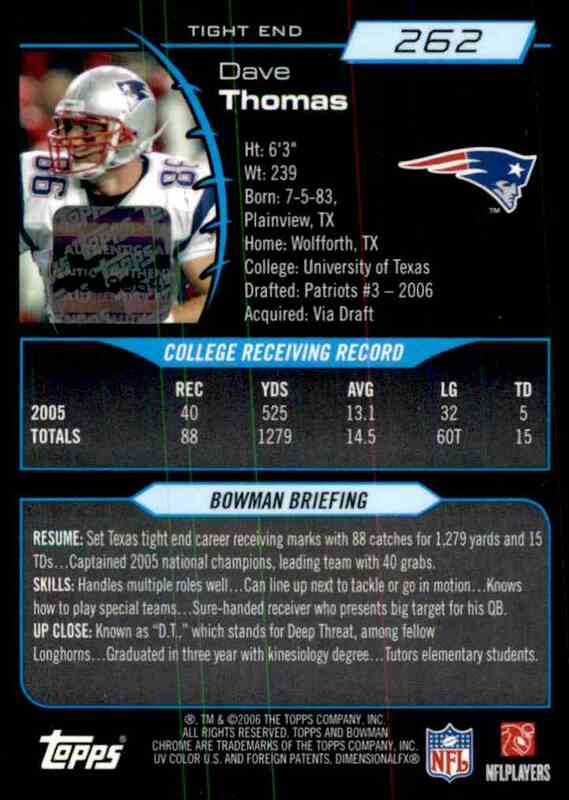 It comes from the 2006 Bowman Chrome set. It is for sale at a price of $ 4.99. 20+ years of Experience! We are also hobbiest, so shop with confidence! !